Every so often, you come across someone whose love for life and genuine love for humanity shine through. You might say they're a treasure. Recently, I’ve had that experience thanks to Katie Travis. She’s currently playing the part of Christine in The Phantom of the Opera US tour. One of her passions is a program called Real Global Poets. Please read through this and consider purchasing a book of poetry from them to help support their cause. You can also make a donation of any amount through their website. More details are below. Something about this program strikes a chord with me. While we tend to get caught up in our first world problems and the news media seem to over-focus on issues of relatively minor importance, there's a whole world out there that we ignore out of choice, convenience or complacency. One such place is Kenya. Kenya's geo-political position is anything but enviable. To the east is Somalia. Its recent history consists of lawlessness and clan warfare. The UN estimates over one million people have become refugees since the military government collapsed in 1991. To the north is Ethiopia. Its recent history has been greatly influenced by its neighbors. Somalia invaded in 2006. Historical tensions with Eritrea flared up again 2011. In 2012, the government was accused of forcing thousands off their land for foreign investors. To the northwest is South Sudan. Its recent history includes gaining independence in 2011 after the conclusion of Africa's longest-running civil war. But independence didn't bring peace. South Sudan itself had a civil war in 2013-2015. During the war, 2.2 million people became refugees. To the west is Uganda. Its recent history includes military involvement in South Sudan, Somalia and DRCongo. 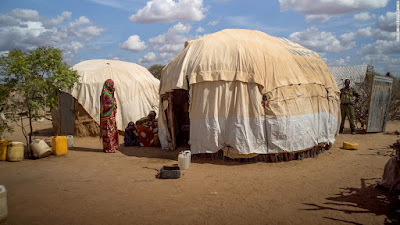 While Kenya has its own share of domestic challenges, including numerous terrorist attacks by Al-Shabab militants, it has become a refuge for millions of people displaced in the region. Just recently, Kenya announced that by November it will close all refugee camps in the country. That means more than 600,000 people, already refugees, will again be without homes. Imagine that. 600,000 people. That's like Wisconsin announcing that they'll be closing Madison in five months. Closing the camps also means no more (or severely reduced) health services, food aid, access to water and general security. 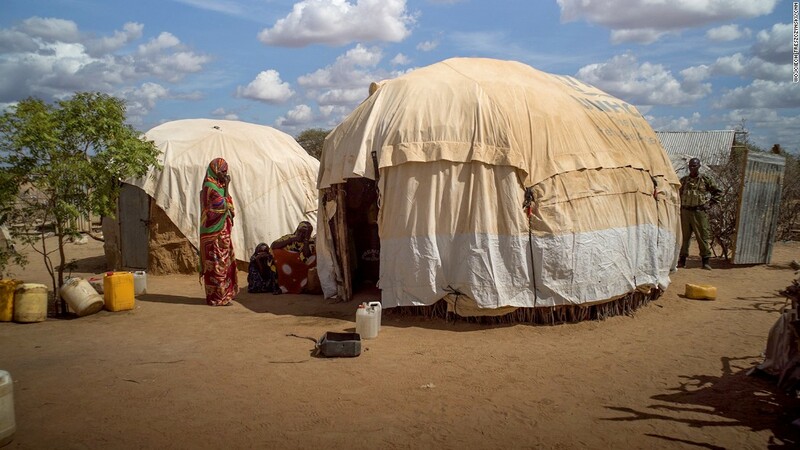 The Dadaab Refugee Camp is the largest of these camps, housing more than 300,000 people on the Kenya-Somali border. Learn more about the "Sanctuary Without End: The Refugees the World Forgot." Refugees here aren't allowed to build permanent structures. Many live in tents or structures made from old tarps. Real Global Poets (RGP) is a collaborative effort between Real Life Poets (RLP) and The Great Globe Foundation's (GGF) Dadaab Theatre Project. RGP aims to give a voice to young Kenyans and youth in Alabama using poetry to express experiences and feelings. and the croaking frogs in the ponds by night. I’m from the women who walked fifty miles to fetch water. where higher education is hidden in the abysmal well. to achieve what you want! where educating a girl is a waste of money. only because the stepbrothers had married. where everybody is a suspect of banditry. I’m from disdain, and denial from my birthright. That’s about my place, what about your place? Do you hear such words as maltreatment and bribery? Do you move freely without the sound of antiquing racism tapping its feet on your back? Tell me if you sleep peacefully without expecting, bang bang around your hut. I want to know if there are such jokes as inferior and superior ethnics in your place. where my father cuts down the trees on the roadside as part of his personal hygiene. I’m from the place where my grandparents live as refugees on my ancestral soil. I’m from my kinfolk who marry with dignity. from the beads that dangle on your necks. I’m from a search for my lost identity. from the kingship and hierarchy. I’m from his majesty, Ochudho! So who is your king? "Thank you for letting us believe that you are there." This is powerful. See link in my profile to donate or to check out other ways to get involved. Looking forward to meeting these students in Kenya in a week!